WOW! A massive thanks to everyone that voted for GamePlan on Steam Greenlight. We have been accepted so development has started to finish up what we need to get this playing with Steam! We couldn't have done it without you! GamePlan proudly sponsoring Team Phan! GamePlan is a mobile tool enabling a revolutionary new way to play your favourite team-based multiplayer games on PC and Consoles. 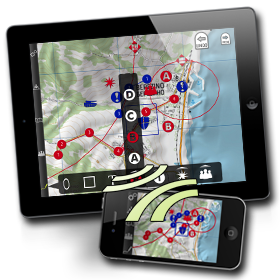 Use your iPad, iPhone, Android phone or tablet alongside your main gaming rig to plan, command and co-ordinate your team strategy in any FPS, RTS, MMO's, Simulators and mods. Plan your strategy, get ready to compete at the next level and get the winning edge with GamePlan! GamePlan version 1.2 available now! Try GamePlan for free! Connect, plan, discuss, view, communicate and draw up your battle plan together! Designed to work seamlessly alongside your existing team voice comms and main gaming system (PC or consoles) as a powerful team organisation tool. Intuitive and responsive interface with a collection of drawing and communication tools that are easy to use in the heat of battle! Host password protected rooms, hidden rooms or join existing rooms on-the-fly. Draw directly on game maps to keep your team organised in real-time! Communicate warnings, targets and other important info by placing various icons. Sketch and view team strategies collaboratively with intuitive tools such as symbols, waypoints, arrows, text bubbles and lines etc. Communicate efficiently to plan strategies, co-ordinate attacks and request support. Share new maps with other users using the built-in MapLocker system - a growing archive of community supplied maps for many games. Easily and instantly add your own maps into the app for games not yet available in the MapLocker. 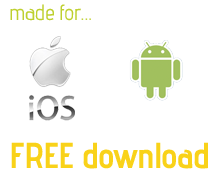 They are shared to your team automatically and stored on your device for next time. Best when used with tablet devices for commander role with the bigger screen to draw on. Smaller screen devices are more suited to viewing, but still do have full functionality. Do you want to see GamePlan available for PC and Mac? Please vote to help us get GamePlan accepted on Steam Greenlight! What's being said about GamePlan? "GamePlan represents a wonderful step forward by integrating the advantages of mobile technology and social media to enhance one's PC or console gaming across all platforms. It is a must have for any team captain"
"...this thing is a strategy monster!..." "...nothing short of phenomenal. It's an absolute must-have!" "If you're active in a clan or multiplayer team operations, and enough of your clan members have the devices needed for this app, then it is a very nice "must have". You can have it set next to your computer screen, and use it like another monitor while gaming." "During my time with the app so far, I've been generally impressed with both the existing features and the long-term potential." "...pretty much the coolest thing this side of the tablet and smartphone craze for the MMO gamer that takes their PvP seriously." "I can see it being essential for RTS clans." "I am very impressed with how easy the app is to use, and the great and easy to use features it has. I am looking forward to the future of this!" "I'd like to say GamePlan looks very interesting from a gamers POV. Looks to be much better than currently used software like Skype or console's own chat features!"